It was D-Day in the Stoner household today. Hubby had appointment with neurologist and a cat scan. The evaluation, results and prognosis is grim. Full blown dementia. Untreatable and will only get worse. I kind of knew that. Doesn’t really call for rocket science knowledge or wisdom to know someone can no longer remember. He seemed to take it in stride, but I really don’t think he realizes what exactly we were talking about. Thank goodness he has a super doctor! They are helping me by having a social worker get in touch with me to assist us in finding a caregiver that can come in to give me respite time. A caregiver that will be there most of the time rather than an agency that just willy nilly sends whoever is available. Surprisingly the doctor doesn’t care for “agencies”. He says the people aren’t paid like they should be and thus he feels they are not really entrenched in their job and really don’t care about their clients. I will go with whatever this doctor recommends. I am thanking my lucky stars we have him! 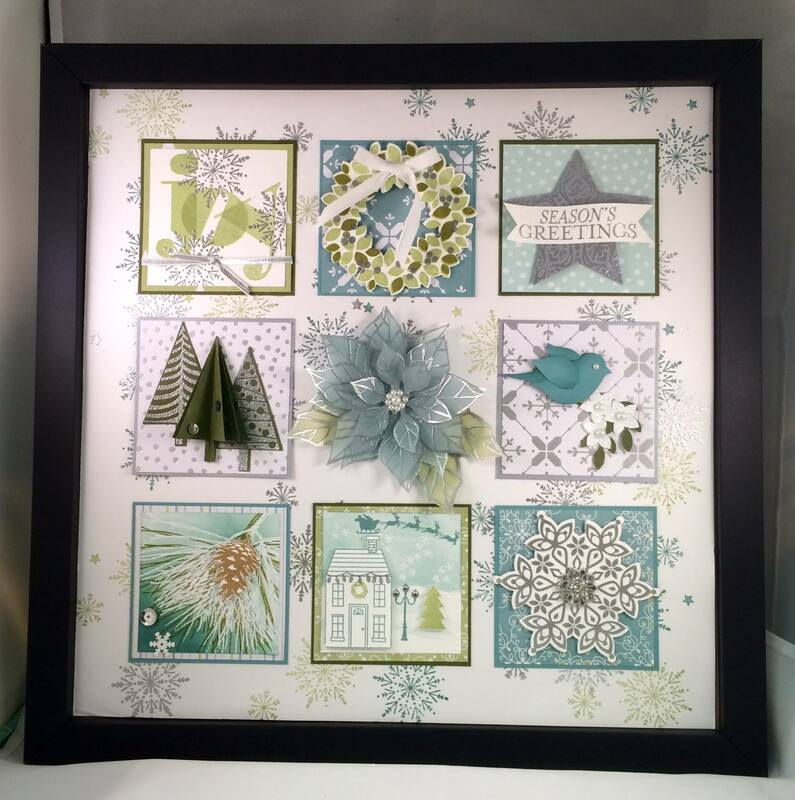 Last night I finished this Christmas Sampler which will be a part of my Last Minute Holiday Gifts Workshop. Once I get all this paperwork and arranging the household, etc., I will be able to work on tutorials… some will be free, and some will have a small, nominal cost. Please stay tuned…I know I have been promising for a while now, but my home situation has been rather challenging lately. So very sorry for the news. you are in my thoughts and prayers. Nelda, I sent you an email in regards to your questions. Pamela I love your work. Came across your site when I saw a card cased from your collection by Carol King in Perth Austrailia. She was inspired and so am I. I wish to send you a hug. You’re going to need it on this journey ahead. My family lived with my husband’s father who succumbed to Alzheimer’s and it is indeed a lonely and trying trip, but your attitude and brave face will get you through this. Remember the happy times and not the frustrating ones, gather your friends about you, and keep your faith. It sounds like your doctor is wise beyond his years and will do right by both you and your husband. Hugz and best wishes to you both. Thank you, a Kathy. On November 6, my beloved husband lost his battle. May he rest in peace now. Love and a big hug from me, may you take strength from your memories and solitude with your crafting. Love your sampler that I found on Pintrest. Rosalie, Australia. I’m not sure how to reply as I see this post is from 2014. Whatever has transpired since then, I want you to know I will still pray for you in any situation at this time, I will be praying for you. God bless and keep you in His care!